Wholefood Heaven specialise in meeting all your plant based diet needs. We have extensive experience in vegetarian, vegan, raw and wheat and gluten free diets and provide healthy mobile catering for markets, events, business meetings and private parties. We also offer consultancy services, private tuition, group workshops and retreats to make following a special diet easy. Feature in the Independent on Sunday, revisiting end of summer barbecue ideas. Every last glimmer of sunshine is turning Dave’s South African heart towards the braai. On Sunday we revisited the jackfruit sliders and it was bliss! 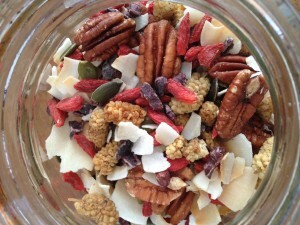 Perfect for when you need a quick pick me up, this super easy to make trail mix is a great thing to have to hand to stop yourself reaching for the caffeine or sugar. Packed with both nutrition and flavour, this is one of our top combinations and the addition of the cacao nibs and lacuma (a superfruit from Peru insanely rich in antioxidants and B vitamins) not only adds a lovely sweetness but also really amp up the health benefits. In truth, you probably don’t really need a recipe for trail mix but often you just don’t think about how easy (and indeed cost effective) it can be to make something usually store bought yourself and we hope this favourite mix of ours might get you inspired. Simply place everything together in a large bowl and mix thoroughly. Transfer to an airtight container for best storage. Welcome to our blog! Over the coming months we hope to share with you all our news as well as lots of new recipes and all our favourite things and places. We hope you enjoy reading! We’re so excited to see our debut cookbook ready for publication. We’ve brought together over 100 of our all time favourite recipes that are bursting with fresh ingredients and superfoods. We’ve drawn heavily on dishes from regions that have inspired us so much on our travels and that have a long tradition of vegetarianism such as Asia and India but there are also innovative twists on Spanish tapas, Middle Eastern mezze, classic Mexican dishes and much more. 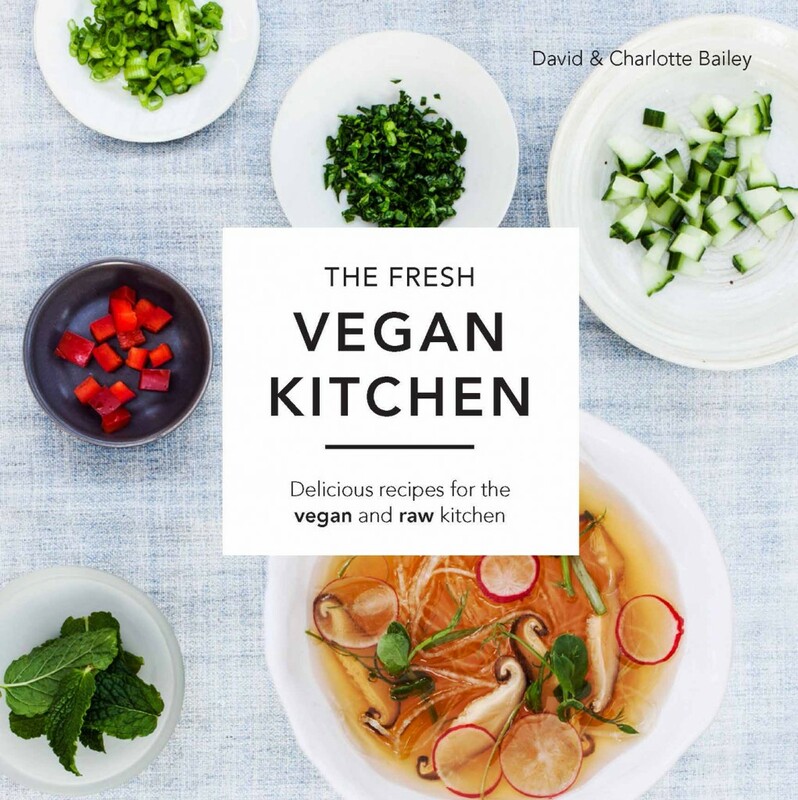 All the dishes are vegan and there are many inspiring ideas for those following a raw, sugar free or wheat and gluten free diet too. 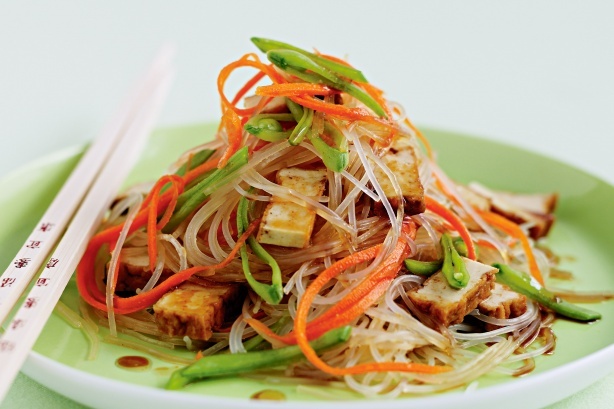 This quick and easy vegan glass noodle salad is one of our absolute favourites. It’s perfect for a light lunch or dinner and is absolutely packed to the rafters with all the colours, flavours and vibrancy of South East Asia. The smoked tofu, mixed sprouts and seeds are ingredients that we use all the time to make sure our dishes have plenty of protein. So, here’s our quick and simple guide on making this delicious dish. In a bowl, pour boiling water over the glass noodles and leave to soak for 4 minutes. Strain and then, under the tap, allow cold water to pour over the noodles until they have cooled down. Make sure they’re fully strained and then leave to one side. To make the dressing, in a pestle and mortar, crush together the garlic, ginger, chilli and sugar until they resemble a paste. Add the lime juice and tamari and stir. In a large bowl add the carrot, mange tout, coriander, sprouts, smoked tofu and noodles. Gently mix together by hand before pouring over the dressing and then continuing to mix by hand until the dressing has been well incorporated. Sprinkle over the toasted seeds and serve. 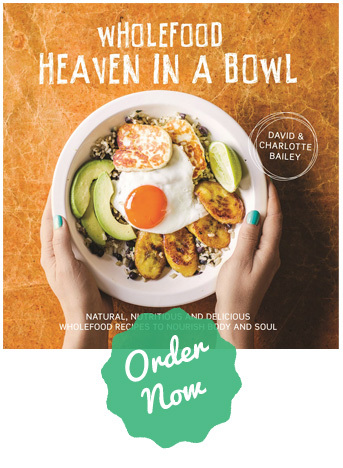 Our NEW cookbook 'Wholefood Heaven in a Bowl' is out now in bookshops and is available to order. 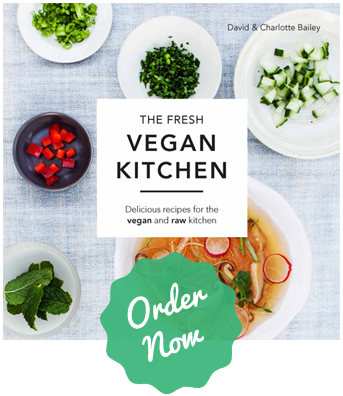 Our debut cookbook 'The Fresh Vegan Kitchen' is also available to order. Trancoso dreaming – why we loved Brazil! © 2019 Wholefood Heaven. All rights reserved.